Traditions! They stand the test of time, they ring true with Fiddler on the Roof famous song, they capture the essence of what was and what will be. 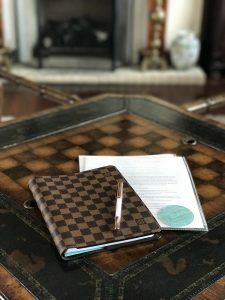 Traditions: A long established custom or belief that has been passed this way! Traditions, customs, beliefs all very much a part of weddings. 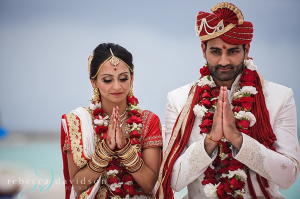 Couples integrating family traditions into their wedding ceremony and events! I carried a beautiful piece of my Armenian Grandmother’s wedding gown which she had made into a beautiful hanki! 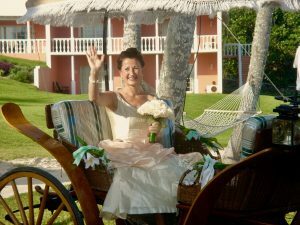 It was a beautiful tradition she started for all her grandchildren! 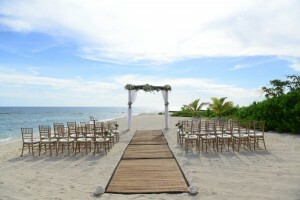 I had something borrowed and something blue as well! My family and friends danced around my husband and I as we came into the celebration venue, they had fun items they “borrowed” from my home in their hands, another Armenian tradition! 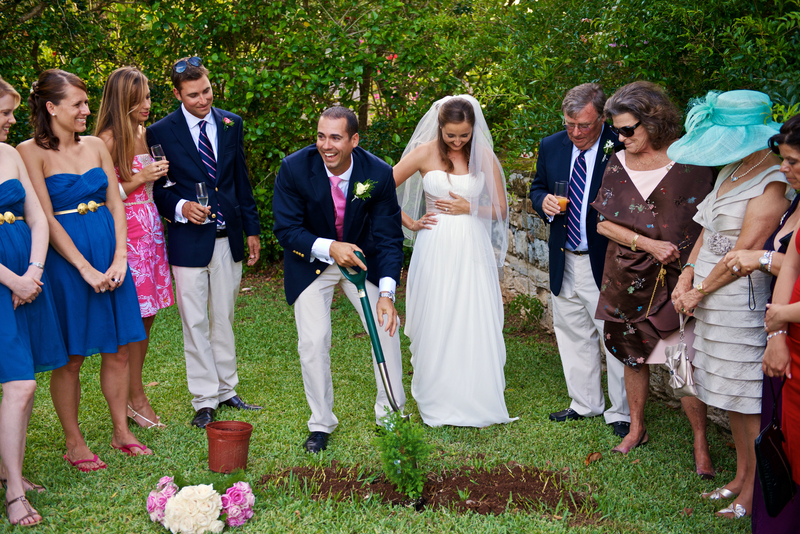 Plant a Bermuda Cedar Tree – The Bermuda cedar tree is endemic to Bermuda. Its existence weighed heavily on the survival of Bermuda’s first settlers, having been used as cattle feed, for building homes and ships and for medicinal purposes. 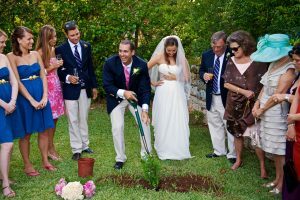 A time honored tradition, A Bermuda cedar tree is planted by the wedding couple on their wedding day as a symbol of their growing love, but the tradition took on particular importance during the cedar blight of the 1940s when the juniper scale wiped out almost every cedar on the island. Today, at most local nurseries, you can find Bermuda cedar saplings to keep the tradition alive. 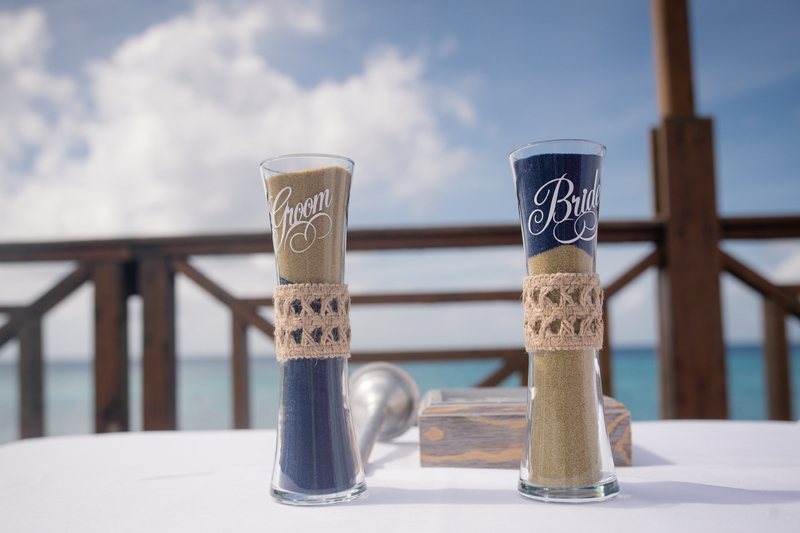 Bermuda Cedar Sprig Cake Topper – Traditionally, couples top their wedding cake with a Bermuda cedar sprig, suitable for planting—taking their wedding cedar from cake to earth. 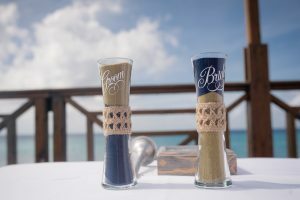 Gold- and Silver-Leaf Cakes – Traditional Bermuda wedding cakes include the bride’s cake and the groom’s cake are very different and serve different purposes. The groom’s cake is a single tier of plain pound cake, made in a large, round cake tin. 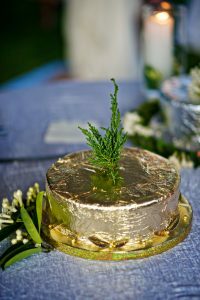 The cake is covered in boiled icing and gold leaf, symbolizing that the groom is the breadwinner and provider, presenting his new wife with all his worldly goods. 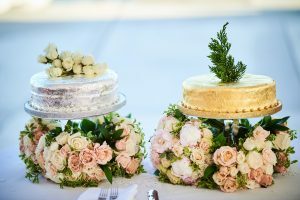 The bride’s cake is a three-tiered fruitcake, symbolizing faithfulness and fertility. It is covered in silver leaf (although today silver leaves are also common). 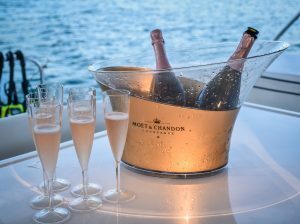 The three tiers serve individual purposes: the top tier holds the cedar sprig, the second is doused in black rum to preserve it and is served at the christening of the couple’s first child, and the third tier is cut and served to wedding guests. 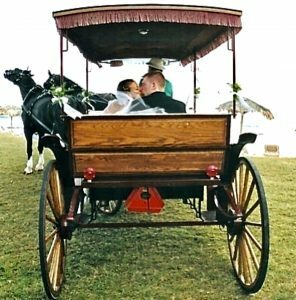 Arrive at or Leave Your Wedding in a Horse and Carriage – The tradition of traveling to and from a wedding in a horse and carriage dates back to the time when it was Bermuda’s most common form of transportation. 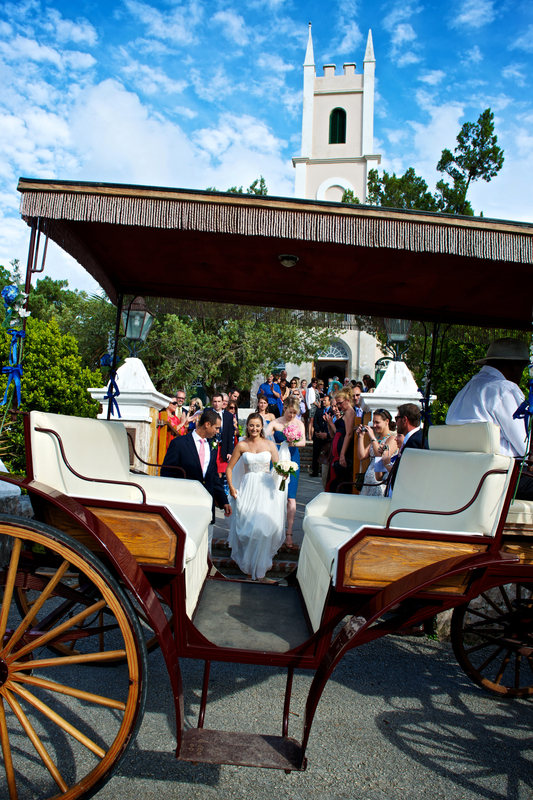 Old Bermudians can recall a time when the carriage and its horses were decked out in full wedding regalia of bells, bows and ribbons, and children would run out into the road at the sound of the horses clip-clopping along, hoping to catch a glimpse of a bride and her wedding party making their way to the church. 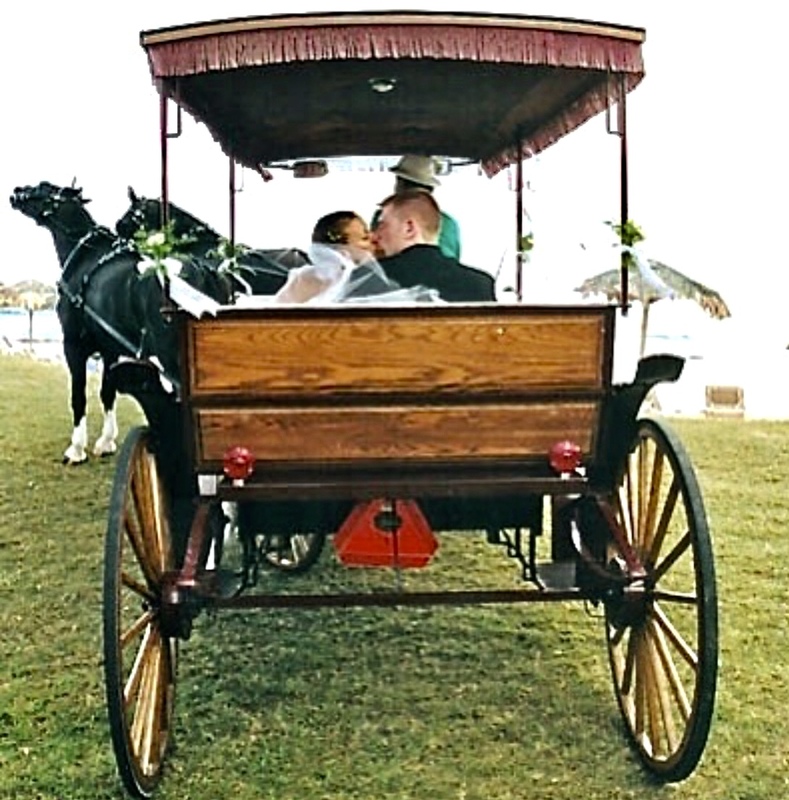 In those days, a large carriage would transport the groom and his groomsmen to the church and then head out to pick up the bride and her bridesmaids. This was to ensure the bride that her groom was already at the church awaiting her arrival. As luck would have it – Bermuda superstitions are also part of their tradition! 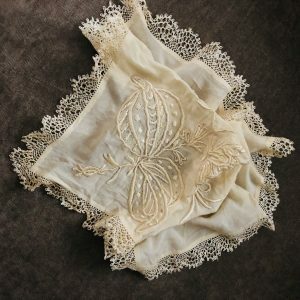 The wedding day is the most important day on which to welcome signs of good luck! Bad luck be gone! Bermuda legend: it is bad luck for a bride to see a lizard on the road while en route to the church, while seeing a black cat is a good sign! 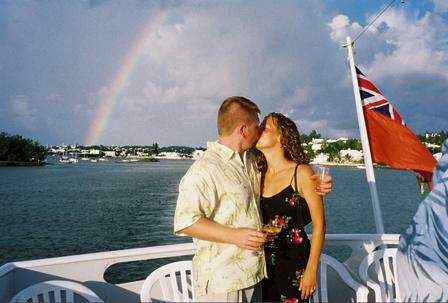 It is very lucky to see a rainbow on your wedding day is considered to be very lucky in Bermuda and more lucky for a sunny day! 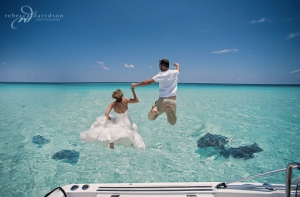 If a Bermuda bride catches rain in the palm of her hand on her way out of the church, it is said to be a sign of riches to come. 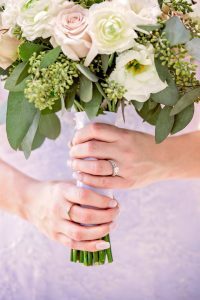 The power of flowers! 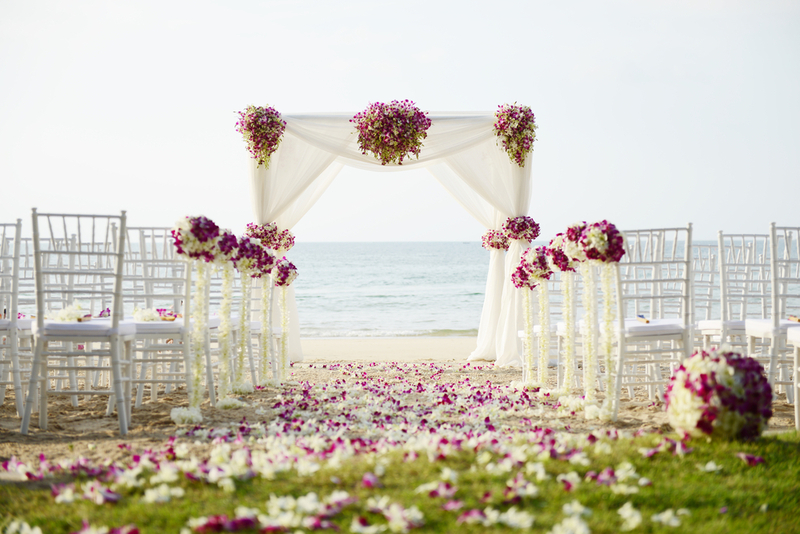 – Strewing petals of flowers on the ground keeps the ground monster and evil spirits away! Lots of flowers – Decorating with an abundance of flowers, symbolizes a wish for the wedding couple to be fruitful. It is the bouquet that always has guests gasping in awe of the beauty! 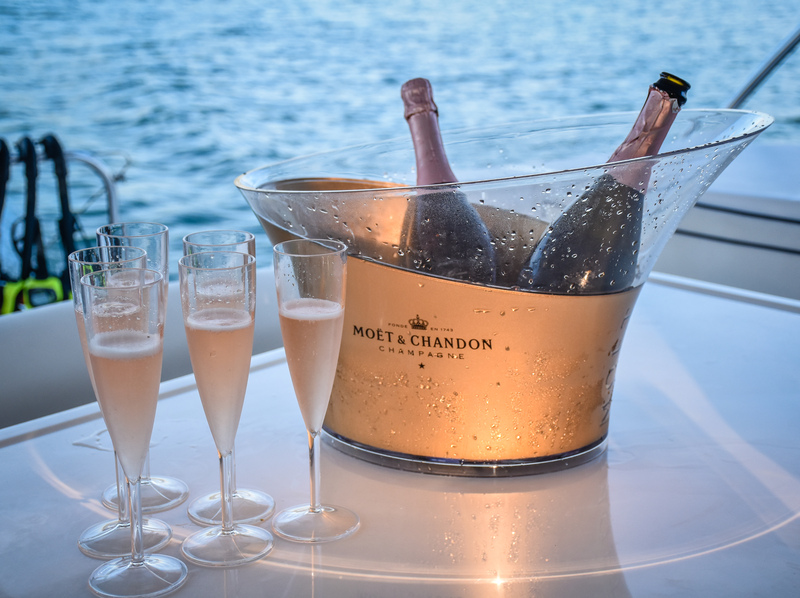 Make it special to you! It represents you in so many ways! The Unity Sand Ceremony – A beautiful container, clean, dry colored sand and loving family and friends. Once completed the vase is held up for all to see and then sealed with a kiss! 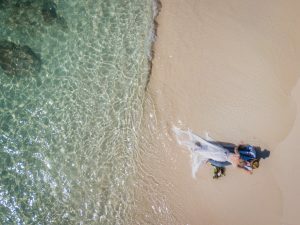 Trash the Dress – Trashing the dress is a new tradition far from the days of save the dress for years for your daughter to wear. 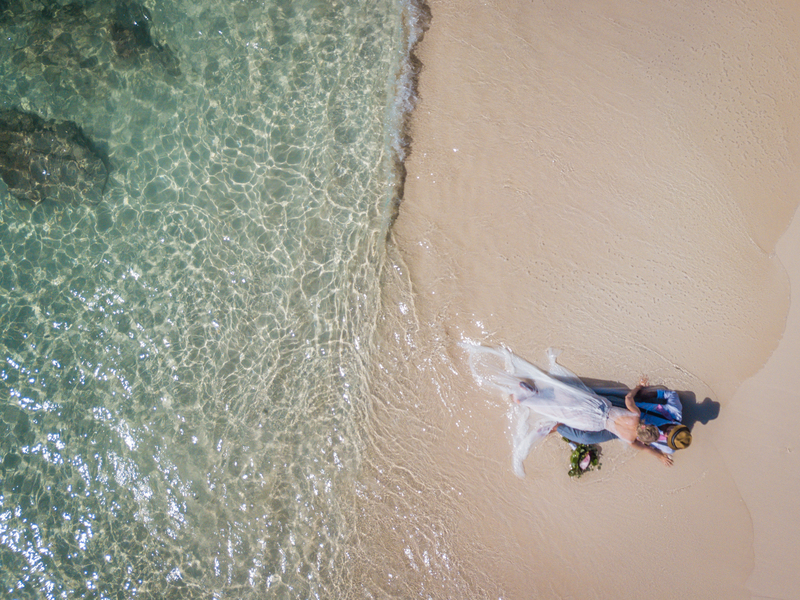 To today’s bride, the dress represents her special moment and so taking the dress to the sea in unique and fun ways not only closes out the celebration, but in some ways it also solidifies the love that the dress represented! It is the ending of the festivities of sorts and moving on to the new journey created! ……And then there is the romance of it all! The incredibly special romance! This image was taken by Rebecca Davidson’s young son protégé, Noah. One of the best Drone operators on island! 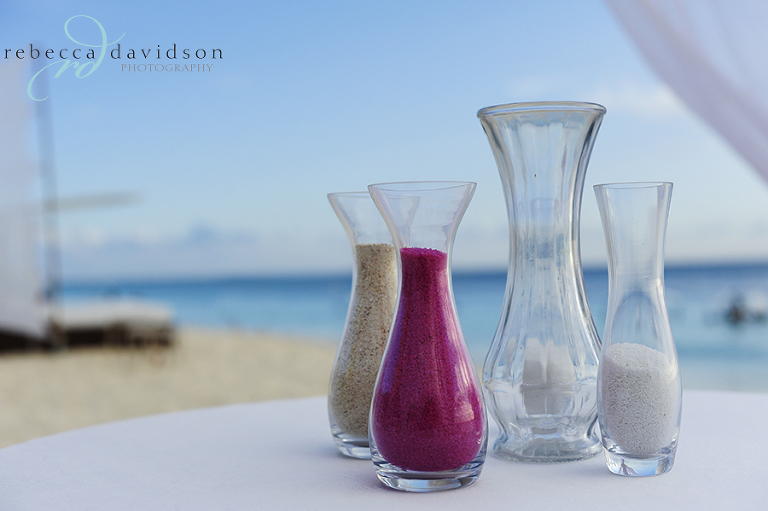 Dreamy settings – Whatever your dream for your wedding celebration, it will be dreamy and it will be memorable! Children- always children! 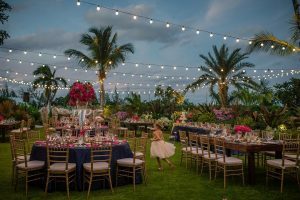 They make a wedding celebration so very special! 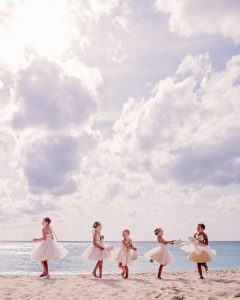 The innocence of a child, the innocence of a bride the innocence of the day!